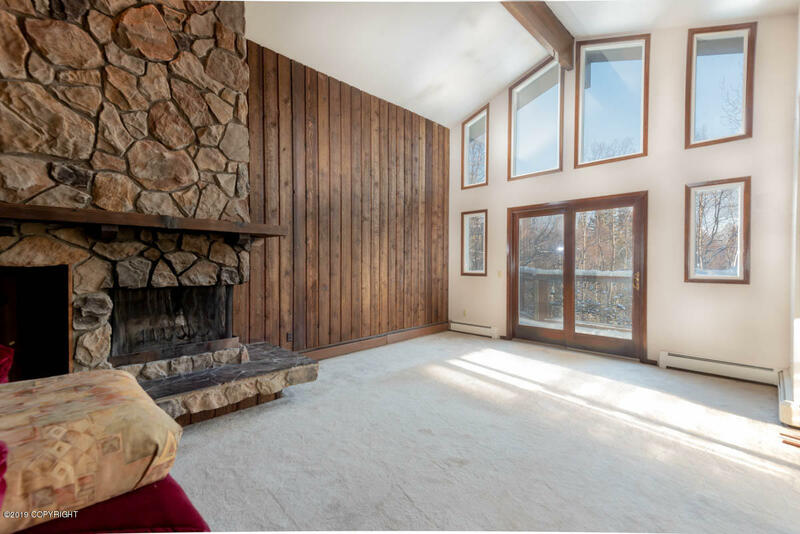 This home sits on a large private lot overlooking the Chugach mountains, It has a high ceiling in the living room, a wood burning fireplace, some nice hardwood flooring. Upgraded triple pane windows throughout the home., There is an upper and lower deck on the backside of the home. The carport has another deck for your enjoyment. So many creative options for you to work with.